Xu Jiatun was already 73 in 1989. He had been the head of the Xinhua Press Agency in Hong Kong, the de facto ambassador from mainland, for six years. He was an old and high-ranked Communist and had served as the Party head of the Jiangsu province. During his tenure in Hong Kong, he maintained a relatively open and liberal stance, establishing close personal relations with many of the local rich capitalists. 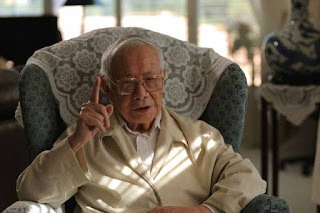 Throughout the 1989 movement, Xu Jiatun had a direct communication channel with Zhao Ziyang, feeding the latter with outside information collected from Hong Kong. According to Xu Jiatun's memoir, Zhao Ziyang called him right after his trip to North Korea, summoning him to Beijing to discuss the situation. Later, Zhao Ziyang delegated Xu Jiatun, through Yang Shangkun, to mediate and communicate with Deng Xiaoping. After Zhao Ziyang's ouster, Xu Jiatun passed a sympathetic message to Zhao Ziyang. In the latter stage of the movement, with a tacit permission of Xu Jiatun, the left-leaning press in Hong Kong had adopted a stand supporting the movement. Some, including staff of his agency, had even participated in local demonstrations. After the massacre, Xu Jiatun signed off for Wenhui, a local newspaper under his control, to publish a protesting editorial. He was removed from his post shortly after and retired. In late April, 1990, Xu Jiatun left China abruptly, fearing for further repercussions. He became the highest ranked official in exile. He lived in Los Angeles and published memoirs. Although he frequently expressed the desire to return to China in his later years, he never obtained a permission to do so. Xu Jiatun died on June 29, 2016, at his home in Los Angles. He was 100.